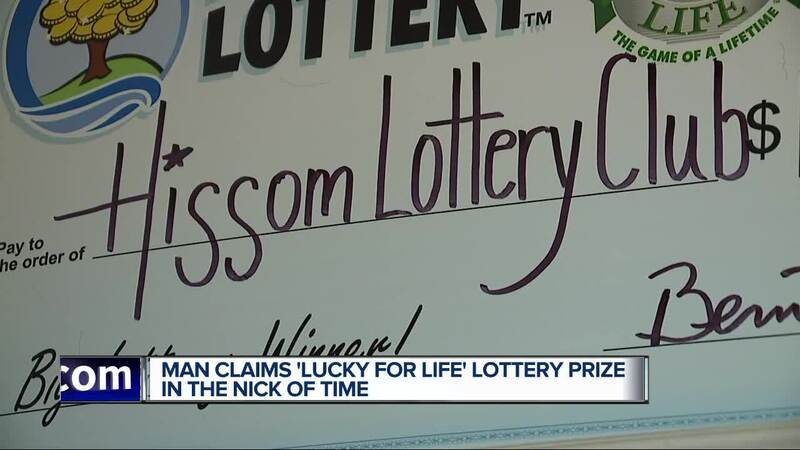 CANTON, Mich. (WXYZ) — Twenty years after his wife Dona’s death, Bob Hissom still plays her special lottery numbers. And Hissom doesn’t throw away losing tickets. So when he heard on the news that there was an unclaimed winning “Lucky For Life” ticket sold down the road at Picnic Basket in Plymouth, the 85-year-old made a call. “I called my daughter and she said ‘Well check to make sure, find the ticket,’ So I dug through all the years worth of old tickets that weren't winners, and son of a gun there it was,” said Hissom. It took him an hour and a half to find the ticket he bought nearly a year ago, but Hissom says he wasn’t sure it was truly a winner until it was verified in Lansing. Though he used easy pick numbers this time around, Bob thinks his wife might have had a hand in it. “It had to be with everything coming together at the same time. Something is going on here, It had to be an influence somehow,” said Hissom. The timing was perfect too, Hissom says. The winnings will be shared with his daughter and his son, who was in town for the holidays from Hawaii. The Ford retiree, who at one point was an engineer at the research and engineering center, and supervisor of a safety test lab during the development of airbags and seat belts, plans to use his winnings to honor that history by buying a brand new Ford Ranger to replace the aging 2001 model he currently owns. The Hissom Lottery Club chose to take the $390,000 lump sum option over the $25k for life. “I’m 85-years-old, what am I going to take? 20 year payments? No, that doesn't sound to practical,” said Hissom.